If you’re looking for the easiest and quickest way to watch the Rugby League Challenge Cup Final abroad then this is the guide you need. In this guide I’m going to show you how you can watch the Challenge Cup Final abroad from any country in the world. So if you’re on holiday, an expat, away on work or outside the UK for any other reason and you want to watch, read on. The Challenge Cup Final is one of the most exciting events in the Rugby League season. However, getting access to watch it outside the UK can be really difficult. Even though the BBC is showing it live in the UK on BBC iPlayer you’ll probably already know that it’s blocked outside the UK. However, by using an app called a VPN from my recommended provider ExpressVPN you can unblock and watch anywhere. Below I’ll show you how to do this. It’s actually easier than it sounds. To watch the Rugby League Challenge Cup Final you’ll need to get yourself a VPN app. There are hundreds of different companies that offer VPN services but many don’t work with BBC iPlayer which is showing the Challenge Cup Final. I recommend you sign up for ExpressVPN. They’ve got a huge 30-day money back guarantee which means if you can’t get it working to watch the Challenge Cup then you can simply get your money back. They’ve also got an offer where you can get 3 months for free on their 1 year package. This saves you 49% compared to paying on a monthly basis. You won’t need it for watching the Challenge Cup but if you’re abroad for a longer period of time then it’ll let you continue watching BBC iPlayer and other UK TV services. ExpressVPN will let you watch on an Android or Apple phone or tablet, Windows or Mac OS computer or laptop or an Amazon Fire TV or Fire TV Stick. Choose one of the above providers and then follow the steps below. I’m using ExpressVPN as my example but the instructions are almost identical with the other providers too. Download their app from your regular app store by searching ‘ExpressVPN’ or get their software from the Products section of the ExpressVPN website. Open the downloaded app/software and either login with your account details or use the activation code supplied when you signed up. Click Choose Location (1) and then press United Kingdom (2). You may need to press Connect (3) if it doesn’t connect automatically. Once the app has connected open the BBC iPlayer app or visit the BBC iPlayer website. You can now watch the Challenge Cup Final live abroad from anywhere in the world. ExpressVPN lets you watch the Challenge Cup Final abroad. Now you’re connected to the VPN it’s simply a case of visiting the BBC iPlayer website at the time the match starts. You’ll be able to watch the entire event live online. You’ll also be able to catch any highlights or replays on catch-up TV if they’re made available on the BBC iPlayer website. Now that you’ve got the VPN service for at least a month or longer if you subscribed for their yearly package it’s worth using for other things. You can continue to watch other programmes on BBC iPlayer but you can also watch other free-to-air TV like ITV and Channel 4. You can also use it to watch any subscription services you have such as Sky Go or BT Sport and others. If you’re watching on a PC or Mac computer or laptop then you don’t need any additional apps. You can simply visit the BBC iPlayer website to watch. If however you want to watch on an Android or Apple iOS tablet or phone then you’ll need to get the BBC iPlayer app additionally. You should visit your regular app store and see if you can install the ‘BBC iPlayer’ app directly. If not then you’ll need to download it from another location. If you’ve got an iPhone or iPad then you’ll need to follow a guide such as this one. The Challenge Cup Final takes place on Saturday, 25th August 2018. Kick-off will take place at 3 pm but live coverage and pre-match build up will start 1 hour earlier at 2 pm and you’ll be able to tune in from then to watch the coverage. The Challenge Cup Final also known as the Ladbrokes Challenge Cup is one of the oldest Rugby tournaments in the world held every year since 1896. This year Catalans Dragons take on Warrington Wolves to see who will reign supreme in the competition that is open to professional, semi-professional and amateur clubs. 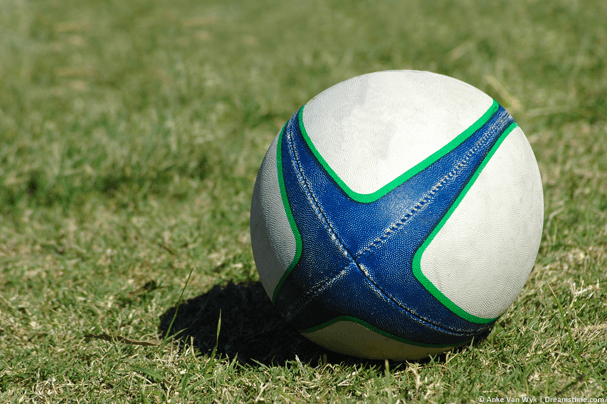 These days the competition comprises of teams from England, Scotland, Wales, France and Canada. This year will see French team the Catalans Dragons take on the English team Warrington Wolves. Hull beat Wigan last year who are the most successful club in the competition holding 19 titles. This final sees France pitted against England which will make for an explosive final and one you won’t want to miss. To watch the Rugby League Challenge Cup Final abroad from any country in the world you’ll need to get yourself a VPN service. This will allow you to tap into the UK stream of the event on BBC iPlayer. I recommend you sign up for ExpressVPN which you can get by clicking the orange button below. They’ve got a 30-day money back guarantee making it risk-free. If you can’t get it working then simply get your money back. They’re also offering 3-months free on their annual package, if you want to sign up for a year to watch other things then you’ll save 49% over paying monthly. 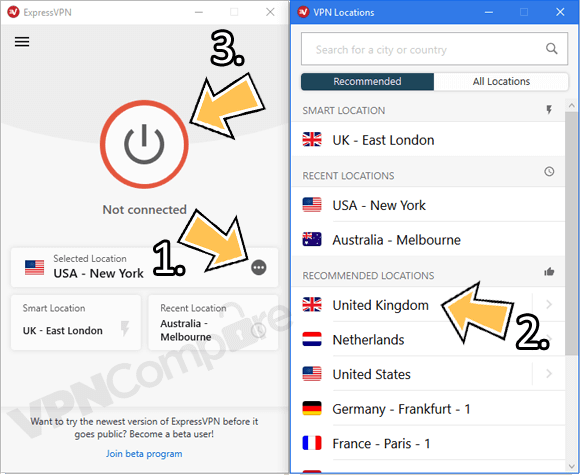 Click the orange button below to sign up for ExpressVPN. Once you’ve signed up download their app and connect to the United Kingdom. Once you’re connected you can visit the BBC iPlayer website or open the BBC iPlayer app where you’ll be able to watch the entire Rugby League Challenge Cup final live online from anywhere in the world. Who do you want to with the Challenge Cup Final? I would love to know your thoughts so why not let me know in the comments section below?